We all have lightbulbs in our home and most people these days get LED bulbs as they save a lot of electricity but did you know that you can have a LED lightbulb that has a battery build in so that when power goes out you still have light. 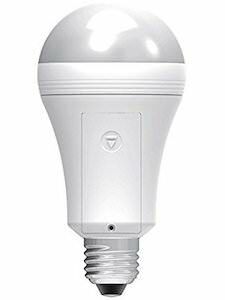 This LED bulb is just like a normal light bulb but when the power to your home goes down then this light will work as normal and it will bring you light fo hours. I would say that everyone should have a lightbulb like this in their home because then you never have to worry about having light when there is an emergency. So come check out this LED Lightbulb With Emergency Battery. 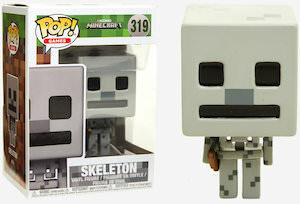 If you like to play Minecraft a lot then you should check out this Minecraft Skeleton figurine. The figurine is part of the Funko Pop! 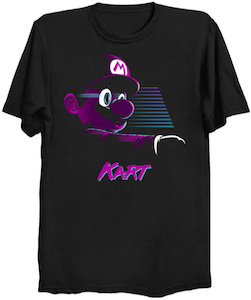 series and this vinyl figurine is 3 3/4 inches tall and comes in a cool box with a window so that you could keep the Skeleton inside it so that he can’t shoot you. The Skeleton has a big square head and looks a lot like the true Skeleton from the game and he did bring his bow but you where expecting that. So now you can have a Skeleton on a shelf in your room or maybe next to your computer that you use to play Minecraft on. Come get your own Minecraft Skeleton Figurine. 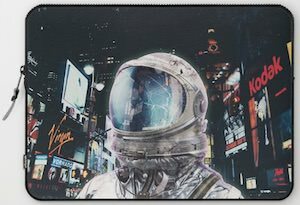 If your laptop need a cool bag then you should check out this astronaut on Times Square laptop sleeves. The laptop sleeve is available for 13 and 15 inch laptops and has a microfibre lining to make sure it does not damage your computer. So now you can have your computer protected when you put it in your backpack or if you just like to take it like that to school or work. The laptop sleeve shows an astronaut and he is not on the moon but in the middle of New York city as you can see the famous signs from Times Square around him and they are all bright and cool as it seems to be night. So give your laptop a new home by ordering this Astronaut On Times Square Laptop Sleeve.